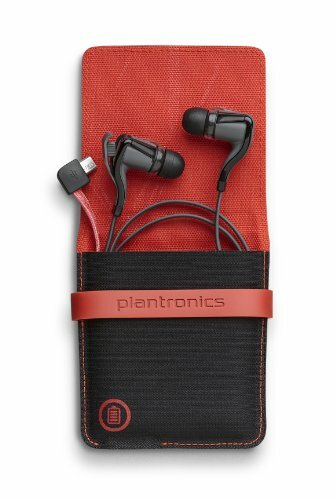 For Plantronics BackBeat Go 2 Wireless Hi-Fi Earbud that don't fall out use BudLoks™ - Far End Gear™ Products for outdoor enthusiasts - earbuds, earphones, and earbud sport grips. Plantronics Backbeat GO 2 wireless ear buds and charging case deliver immersive audio for your non-stop life, so you can lose the cord, free your music, and still take that call. Designed to seal in the bass and block out the noise, you'll quickly lose yourself in the soundtrack of your day. Whether you're sweating out the stress or swaying to the beat, the military-grade moisture resistance protects against an intense workout or a coffee spill. If you tuck it away and forget to power it off, the Deep Sleep hibernation mode keeps ear buds charged and ready to use for up to six months. Unleash your music and GO. LONG LASTING BATTERY LIFE: Includes a charging case which offers up to 14.5 hours of listening time with 20 minutes of charge time giving an extra hour of battery life.